Twenty percent of Americans will not graduate high school this year. And I think the primary reason is because to far more than twenty percent of Americans, the system that consumes over eight hours of a student’s day, is the primary source of stress and effort, the place that consumes the bulk of one’s childhood- does not include tangible purpose. This importance can be found by introducing real and authentic conflict into our classrooms. Not the kind of conflict where fighting ensues or feelings get hurt. The conflict where the regular patterns of life are disrupted. The regular girl becomes a hero. The student within a bubble, who thinks the world revolves around their habits, their music, their friends, their life- finds out not all is well in the world, and there is something she can do about it. The work students are doing in the classroom needs real conflict. In order for the material we present in our classroom to grasp a student’s attention long enough for them engage with it, it needs problems for them to solve. We live in a big world with big problems, and sometimes the issues students tackle are big. Chances are, there are people in your community who deal with hunger on a daily basis. Racism probably exists within your city or town. Homeless people probably live underneath an overpass near you. Believe it or not, slavery still exists, and the slaves are young women who are trafficked in every major city in the United States. These are big problems that your students can tackle in math class, and in English, and science, and any other subject in school. 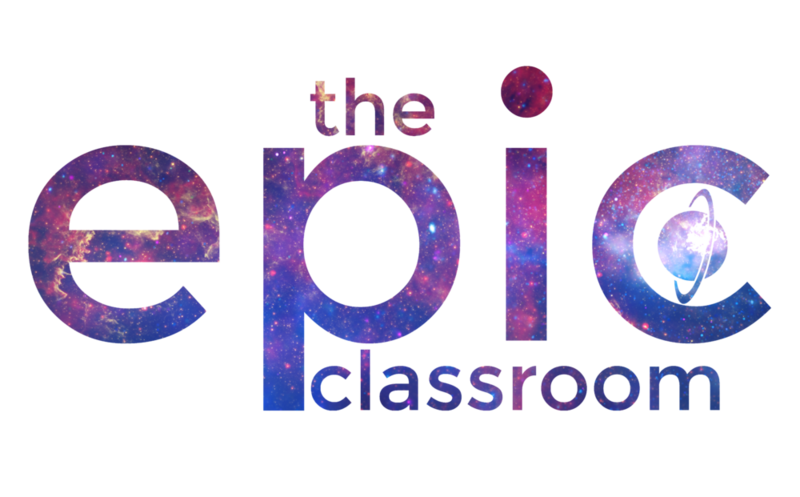 There are also conflicts of lesser global importance for your students to engage in, and those belong just as much in your epic classroom, because they are engaging students in learning so they can be prepared to tackle big stuff later on. Conflicts like debating about the meaning of justice, interpreting how something a poet said 200 years ago relates to the present, or creating a piece of art that lasts- conflicts do not have to leave the walls of the school to impact and engage students. Conflict can be huge, and conflict can be intimate. But regardless of its size and scope, it must be in the stories in your classroom.